the serverless school: DaaS in schools - solution or 'band-aid' ? A SaaS school that has a requirement to support legacy Windows applications for established lesson plans or external assessment could solve this problem, at least at a technical level by using Desktop as a Service (DaaS). DaaS is a cloud service in which the Windows desktop is hosted by a cloud service provider. The DaaS marketplace is still very new but already contains offerings from Amazon, VMware and a DaaS type service from Microsoft. The delivery model for DaaS is still being developed but its creates some interesting scenarios. For instance if a school needs fifty Windows desktops for a lab environment it simply ‘leases’ them from a DaaS provider without any capital investment. Once the requirement is no longer required the lease is dropped. The school could have multiple images - each specific to a curriculum area. The ICT lab could use cheap commodity devices such as Chromebases and the student simply selects the correct image for the lesson plan. Once the session is launched in full screen the lab will appear to be running full Windows desktops. User state and file management would still be through Google Apps allowing the OS updates to be discarded on shutdown. Maintenance of the Windows environment is the responsibility of the provider not the school. Costs for a DaaS service are starting to emerge. At the moment standard business rates apply and this places it out of reach of most schools. However with strong competition between VMware/Google and Amazon this situation is not likely to last for long and there may be space in the market for a DaaS provider to address the EDU market directly perhaps by balancing lower prices with a reduced service levels and smaller images. As an alternative to DaaS a new type of “video streamed” application is also starting to emerge with the new version of Adobe Photoshop. Currently this is only available for US for education accounts with a paid Creative Cloud membership but does allow Photoshop to run on a Chromebook or an Android tablet. 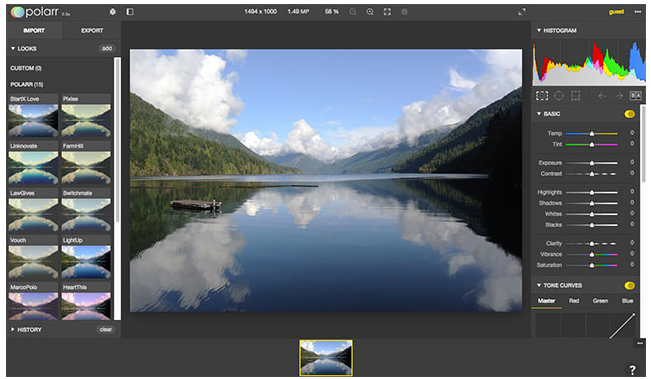 A streamed version of Photoshop runs straight from the cloud to the students mobile device . It’s always up-to-date and integrates with a cloud storage provider such as Google Drive, so there’s no need to download files over the internet connection. Data are moved directly between the two SaaS providers, removing any limitation on the schools internet bandwidth connection for large editing jobs. The reported bandwidth required for streaming the app is 250Kbs which puts multiple sessions well within the capabilities of a 100Mbs connection. Adobe has shown that in the long term its likely that many of the major graphics and media packages will be re-written for SaaS and move over to a subscription model. Currently there is still a dependency on Adobe Flash to provide a functional interface which prevents a true cross-platform solution. The widespead adoption of HTML5 is starting to reduce this dependency and companies such as Polarr are showing what can be done. In reality the issue of maintaining and supporting traditional windows applications is being addressed in two ways. SaaS is starting to provide the rich experience that users have enjoyed with local applications and mobile apps are replacing the large monolithic software suites that have dominated the desktop for years. Perhaps the role of DaaS is to act as a 'band aid' for a limited period of time until the authorities that set curriculum and assessment standards finally understand that the workplace of 2020 will be nothing like that of 2010. So maybe the question is - by the time DaaS becomes affordable for education will be be relevant?